pilgrimage site and one of Malaysia's great natural wonders. The devotees come to give thanks for blessings received and to atone for sins. Perhaps a family member recovered from a bad illness, or someone got the job they wanted; whatever it is, first the devotees prepare by going down to the Batu River where they enter a trance-like state so that 'God will ensure there is no pain'. Then they don the kavadis, which can weigh up to 50 pounds. Usually the kavadi is hooked onto the carrier with more than 100 steel hooks inserted into the skin of the chest, back and face. Others wear skewers to represent the vel - these are about 1cm wide - and worn through the cheeks or vertically through the tongue! Some young men travel from the riverside to the cave with large steel hooks in their backs, accompanied by friends who pull backwards on the devotee so that the skin comes away from the flesh and bones. The walk up to the Temple Cave is long. A little below the Temple Cave is the Dark Cave, a two-kilometre long network of relatively untouched caverns containing a large number of cave animals, including species found nowhere else in the world! Every year, a procession of Hindus make this journey past the Waterfall Gardens, up towards the cool heights of Penang Hill. The procession starts in Jalan Dato' Keramat. foothills, by the stream. The oldest temple here is the Nattukottai Chettiar Temple which dates from the 1850s. Carrying the silver statue, the Thaipusam silver chariot travels along Dato' Keramat Road and on to the Waterfall Hilltop Temple. The procession is made up of faithful Hindus wearing kavadi, spokes of metal which they pierce their cheeks with to do penance for their sins. It's quite a spectacle! 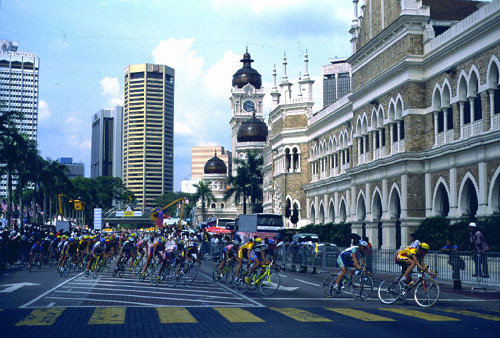 Keen cycling enthusiasts will be coming in their droves to enjoy the 'Tour de Langkawi'. It's a long race with a route which takes in most of Peninsula Malaysia and the Langkawi Islands (of which there are 104). Chinese New Year is the most important festival to the Chinese community all over the world. It is celebrated over a period of 15 days, beginning from the first day of the new Chinese lunar calendar until Chap Goh Mei. In Malaysia, it used to be ushered in with the lighting of firecrackers at midnight on the Chinese New Year's eve but now it is illegal to do so. Prior to the celebrations, the Chinese can be seen searching for all kinds of seasonal delicacies like waxed duck as well as mandarin oranges, blossom flowers and kumquat (a smaller version of the mandarin orange) trees for prosperity and good luck. Before the new year begins, all debts must be settles and the house cleaned from top to bottom. Following two tournaments in Australia, the cream of European golf stops off in Malaysia for the Malaysian Open. It is played at the Royal Selangor Golf Club, reckoned to be among one of the best golf resorts in the world. The tournament continues to grow in stature and attracts consistently strong fields. Johor is the southernmost state of Peninsular Malaysia. It connects the country to Singapore and boasts some beautiful offshore islands. Kites can take months to design and another few months to perfect. Bright coloured patterns and floral shapes are cut out of paper to build up the body of the kite. The finishing touches consist of adding the likes of long tasselled ribbons. When they are attached to the intricate kites, some sporting wingspans wider than the largest birds of prey, the sight is fantastic. Generations of Malaysians have been making kites and it is considered to be one of their ancient arts. Thus it's not surprising there are phenomenal kite competitions to be found here. The winner of the kite competition is the person who can fly their kite the highest. Some travel more than half a kilometre. During March in the provincial capital, Kota Bharu, you can sample some of the traditional Kelantan dishes and handicrafts of the area. Look out for unique dishes such as 'ayam percik' and 'nasi kerabu' (a speciality rice dish). Songkran Festival celebrates the Thai Buddhist New Year. The festival lasts for three days- the first day is the last day of the old year, the second day is a day of limbo and the third day is the beginning of the New Year. People build sand stupas (temples) on riverbanks and beaches which then get washed away. Do not miss the brilliant colourful processions of the monks, dignitaries and of course the Songkran. The Songkran is a beauty queen, the symbolic daughter of an old king, who must carry the kings head through the streets once a year so as not to forget his powerful reign. Legend has it that if the head should fall to the ground, the whole earth will be consumed in fire. Consequently everyone throws water on each other and there is a great atmosphere of fun and merriment. People have parties and enjoy the holiday the three days bring. It's a great time to visit Hulu Perak where the Buddhist temples will be thronging with faithful Buddhists leaving offerings for the monks at the temple. Remembering the birthday of Islam's Last Prophet, Muhammed, is an important festival in Malaysia. On this day all good Muslims go to the mosque to pray where special sermons are given by the Imam (a spiritual teacher). Wesak Day, celebrated on the May Full Moon is the most auspicious day in the Buddhist calendar as it marks the birth, enlightenment and death of Buddha. Celebrations begin before dawn with Buddhist devotees gathering in temples throughout the country. This ancient Kadazan ritual is performed at the atmospheric House of Skulls in Kota Kinabalu. Miri is a developed and busy town and an important oil trading centre on the north-west coast of the island of Borneo. 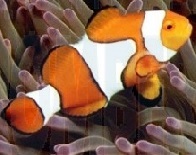 Here, in these tropical reefs you can enjoy an underwater treasure hunt. Every May, when diving conditions are at their very best, Miri divers hold this fabulous event. The ambitious month-long Citrawarna Malaysia (Colours of Malaysia) is a celebration of the unique blend of cultures in the country. It covers all varieties of performing arts, visual arts and crafts, involving all 13 states of Malaysia, plus the capital Kuala Lumpur, which present the best of their entertainment, art and food. The opening is marked by a major parade. This June you can roll up to enjoy an international flower festival at Penang's Botanic Gardens, which are widely acknowledged to be the finest Botanical Gardens in Malaysia and possibly in the whole of South East Asia. The Dragon Boat Festival is a Chinese festival where local teams race each other on the Mengkuang Lake in beautifully painted boats with prows carved in the shapes of the heads of snakes. The dragon boat races take place in remembrance of a great Chinese poet, Qu Yuan. Labuan is a tiny island off the coast of Brunei. Until it joined the Federation of Malaysia it had seen 115 years of British colonial rule. It is now an offshore banking centre. When seen from the air it looks like a star on a turquoise sea and beneath the waves is a diver's paradise. When diving conditions are at their very best, Borneo Divers hold an underwater treasure hunt. Underwater sites include wrecks and sharks, so you are guaranteed a few excellent dive spots. But don't worry, you don't have to bring back a shark. There are hidden clues which you follow to find the treasure, buried somewhere in the turquoise depths. This is the kind of diving experience which will live on in your memory forever! Labuan is a tiny island off the coast of Brunei. Until it joined the Federation of Malaysia it had seen 115 years of British colonial rule. It is now an offshore banking center. When seen from the air it looks like a star on a turquoise sea and beneath the waves is a diver's paradise. 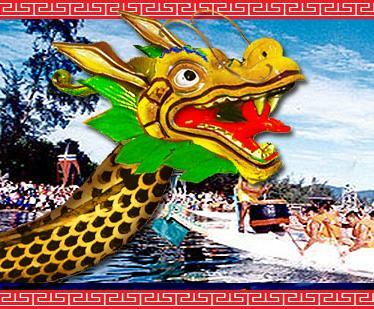 The Dragon Boat Festival is a spectacular boating competition taking place in Likas Bay, Borneo. Local teams race each other in beautifully painted boats with prows carved in the shapes of the heads of snakes. A unique Portuguese festival can be found in Malacca. This spice-rich state has welcomed Sumatran princes, Dutch explorers, Portuguese traders and Chinese emperors over the last 400 years. Malacca is an ancient trading city, founded on the pirate-infested Straits of Malacca and boasts some of the finest mosques and European-built Catholic churches in Asia. Once known as a dark and dangerous land, Sabah is now luring visitors with its remoteness and diverse peoples. This festival, part of the Colors of Malaysia 2000 program, is a celebration of traditional and local dance, music arts and crafts. A Gasing is a spinning top - used in one of Malaysia's favorite and most competitive past-times. The gasing, or spinning top can weigh up to 5.5kg fashioned from Malaysian hardwoods. Spinning these large gasings takes enormous skill, dexterity, co-ordination and strength.A Gasing is a spinning top - used in one of Malaysia's favourite and most competitive past-times. The gasing, or spinning top can weigh up to 5.5kg fashioned from Malaysian hardwoods. Spinning these large gasings takes enormous skill, dexterity, co-ordination and strength. The winner of a gasing competition is the person whose gasing spins longest. Legend has it, if the right 'spirit' enters the gasing, then it will spin for up to 24 hours! Top spinning contests are usually held after the harvest season. The champion gasing spinners of a community were often great folk heroes - so highly were their skills rated. This festival is a brilliant chance to acquaint yourself with this traditional Malaysian game.